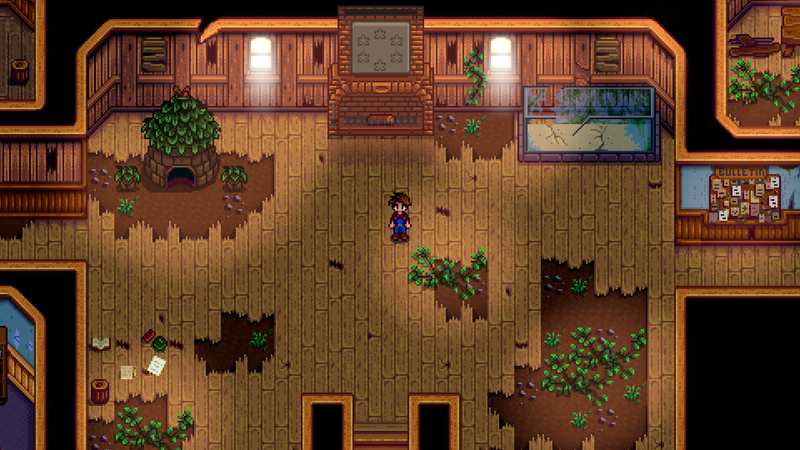 When Eric “ConcernedApe” Barone announced the console ports for Stardew Valley in June 2016, he called the game’s controller support, “less than ideal,” and said it would be updated for Playstation 4 and Xbox One releases. As of launch on Playstation 4 today, the controller support is still, well… less than ideal. It isn’t an unmitigated disaster—walking around feels better with a controller than it does with a keyboard and mouse, and the fishing minigame is definitely easier. The problem is that the game still requires you to use a cursor for some things, like claiming quest rewards or doing inventory management. It’s very difficult to control that cursor with a controller. It’s not just me who feels this way: I’ve seen a few people on the (super chill) Stardew Valley subreddit also voice complaints about the game’s controller support. Some fans had hoped that today’s console release would lead to better controller functionality across the board. While that’s good to know, it doesn’t get to the heart of the problem: the cursor existing at all. When the game launched and I saw that I’d need to use the cursor to change the color of my character’s hair in character creation, I groaned. Moving those sliders to where I wanted them to be was near impossible. Now I’ve gotta go get the Wizard to change my hair color for me.